I've moved to the East Side in the Cherrywood neighborhood! Come visit my open studio during the East Austin Studio Tour! My home studio is essentially my kitchen table and I will be transforming my apartment into a pop up gallery space. Free street parking is available. I am located in the back apartment, not the main house which faces Hollywood Ave. My entrance is on Concordia. Weather permitting I hope to also have work outside. I will have a variety of original artwork, prints, and other products for sale. 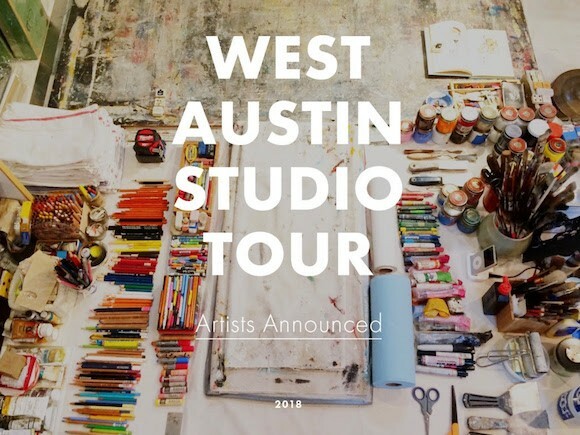 Come visit my open studio during the West Austin Studio Tour! NEW! Prints and Products now available on Society6! Art makes the best gift! Unique and one of a kind collages and sculptures. I was delighted to participate again this year in the Annual 5 x 7 Fundraiser at The Contemporary Austin. I donated two sculpture and one was pre-selected by a sponsor of the event which means the people who got "first dibs" on artwork before the auction began, selected it. I am honored my work was chosen. 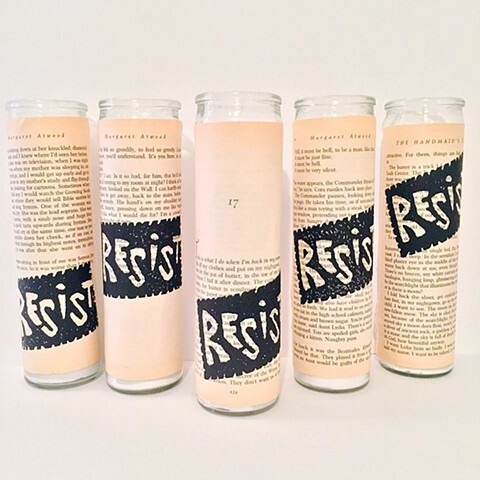 The artwork is an altered book using a youth novel called "Let the Circle Be Unbroken," by Mildred D. Taylor. It is part of a series of books that the author wrote. I remember reading the first in the series, "Roll of Thunder, Hear My Cry," when I was a kid. The other work is an altered book collage called "Scarcely Breathing" which is contained inside a wooden shadow box. Upcoming Exhibit: I will be exhibiting and donating an artwork to the George Washington Carver Museum and Cultural Center as part of their 100% exhibit. Exhibit opens on April 2nd, 2015. Some of my students' work will also be in the exhibit. In addition, selections from my students Civil Rights portrait series are already on display at the Carver and I am grateful for the opportunity for myself and my students! possible Saturday hours as well! Benefit for Ryan Weds June, 27th and Girls Guild Altered Books Workshop in July! Some of my artwork will be up for auction to help benefit Ryan Noriega, a former co-worker from the Dougherty Arts Center, who is battling cancer. As a part-time Art Teacher and musician, Ryan does not have insurance. Ryan Noriega, a man of many talents (http://www.porcelainwasteland.com/) is currently in the hospital battling cancer. There would be no HfB without his writing, guitaring, crooning and fashioning of the Betsy brand. So, we're putting together a show in his honor with some of our friends to help out with the costs. Many local artists will be donating pieces of their own exquisite art work for auction! Edge of Imagination Station will be there demonstrating stop motion animation! GoodPop will be there distributing some delicious organic popsicle goodness! Quick Draw Photo Booth will be capturing our silly poses in drawing and photography from 8-10pm, with all tips going to Ryan! ....and a tap dancing solo by Zeke of Heaven for Betsy! Tickets are $5 online or at the door! Also, I will be teaching at Altered Books Workshop through the Girls Guild at the Austin Center for Design. It is a 2 week session for girls and women 11 and up and will be on July 21 and July 28 from 2-5 pm. Cost is $90 and supplies provided. This past year I worked as a Teaching Artist for an amazing organization called Theatre Action Project which is all about Creative Arts Education as a method of social change. We recently had our Youth Arts Festival and I thought I would share some links of images and videos about the various projects I worked on with students and my fellow Teaching Artists. Many artworks are now for sale on this website via paypal! Please look under the "Collage," "Paint," and "Draw" tabs to see which items are available to a good home. Please share with your friends! I also take commissions. Thank you! Upcoming Exhibits 2012!! Updates to come! I am pleased to announce two upcoming exhibits for 2012. For more information visit: |http://www.austinlibrary.com/branches/index.cfm?ac? In April, I will be having a solo exhibit and installation at Red Space Gallery in Austin, TX. Opens April 28th Through: May 13th 2012.